Many of us look forward to our Saturday with a thoughtfulness of what is planned and what is to come. For residents of the Fitch Mountain Terrace Apartments, what is to come on their Saturday's is Farm to Pantry. Farm to Pantry delivers and distributes fresh and nutritious produce fulfilling a need for accessible, healthy produce for those with limited access in our senior communities. Supported by the community of growers found at the Healdsburg Farmer’s Market (HFM), our staff and volunteers deliver to residents in need every Saturday, rain or sun, to the senior residents of Luther Burbank. With the unsold produce from growers at the HFM, Farm to Pantry connects access to need, grower to neighbor, developing a lasting and positive relationship within our community. It is within our lasting relationship we all can look forward to each Saturday together, bridging the gap between excess with access in our community. 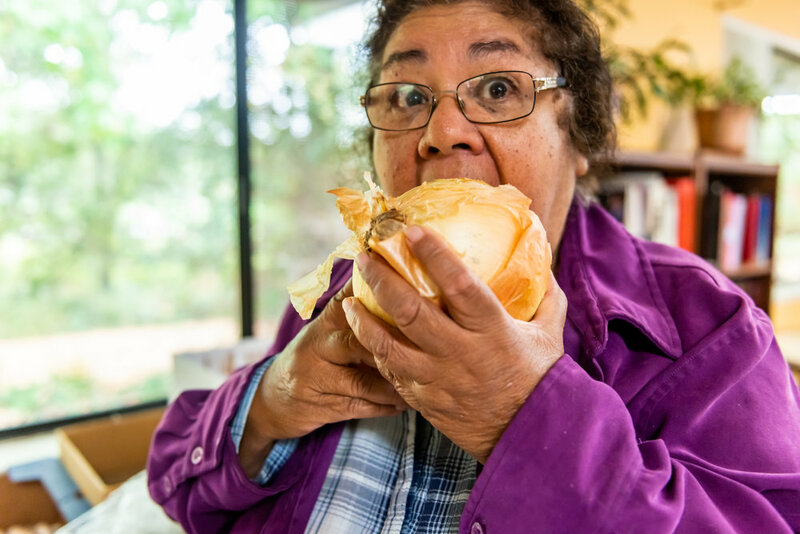 For many Saturdays to come, senior residents can look forward to the deliveries of Farm to Pantry and share in their access of fresh, accessible, and healthy produce.